The thing about shopping online is that your exposed to a lot of choice. That’s definitely one of the perks for me, because the search for a perfect tan saddle bag (or insert desired item) can seem endless when you’re looking in person. And it’s just so inefficient, with needing to walk in and out of shops, driving in and out of shopping centres? Really, so last century. But what to do when you’re not looking for the perfect one, but just something you like and more than one catches your eye? Sometimes you just gotta buy ’em all. This is the story of how I ended up with 4 new skirts from J.Crew in the space of around 2 weeks. After comparing my new goodies with the 2 I bought while in the US, I realised something odd: they all fit perfectly but ranged from a size 2 to a 6P (US sizing). Weird, no? I’d say a regular 4 in J.Crew translates to a AU8-10 for Country Road, Witchery, Saba etc. Another ready for winter skirt! Can’t wait for colder days to wear this woollen skirt! But at the end of the day, sometimes you’ve just got to take the leap. If it helps, even though J.Crew has gotten rid of their free shipping and free returns to Australia option (i.e. risk-free shopping), shipping now is only a flat rate of $10. Really, isn’t that just 3 coffees in the grand scheme of things? And returns are still free! I’ve been lamenting to anyone who will listen that I’m rather underwhelmed by this year’s Black Friday sales. Le sigh and le big sad face. After an exciting order of two bags from Shopbop last Wednesday, I’ve been in a state of indecision and nothing’s really inspired me to click that “submit order” button. Main issue? The deals just weren’t quite at the level that I remembered from last year. Luckily, Cyber Monday is here! And I’m happy to report that stores are giving something just a little extra than they did at the Black Friday sales (but some just changed their codes). My favorite of the bunch is this Kate Spade tote (was $425, now $199). The only way this could be better if it was half the size! A good friend also alerted me to a Chloe Marcie bag – small in nubuck leather which is newly marked down from $1,895 to $1,136 on Nordstrom… tempting, but I’m still holding out for the mini version! Net-A-Porter (US Site): Sale on Now! Technically I could’ve updated yesterday’s post, but this kind of needed a post of its own. So normally I get Net-A-Porter sales notifications a bit late. Maybe a few hours after it starts, sometimes a whole day. And if you’re familiar with the world of online sales frenzy, a few hours is like a lifetime (half joking, maybe). This time around, I was prepared. I created a wishlist. I lurked. I checked my wish list throughout the day, and it paid off because before any emails or even before it was announced on the homepage, I discovered that some of my wish list items had been marked down!!!!!! I felt like I had beat the system!! …except I couldn’t find anything to buy. I considered this Mulberry Small Bayswater which is down to $945 (reduced by 30%). I ooh’ed over this small Chloe Paraty. It’s 40% down to $1077 (and I preened because I bought it in black last year at around the same price). 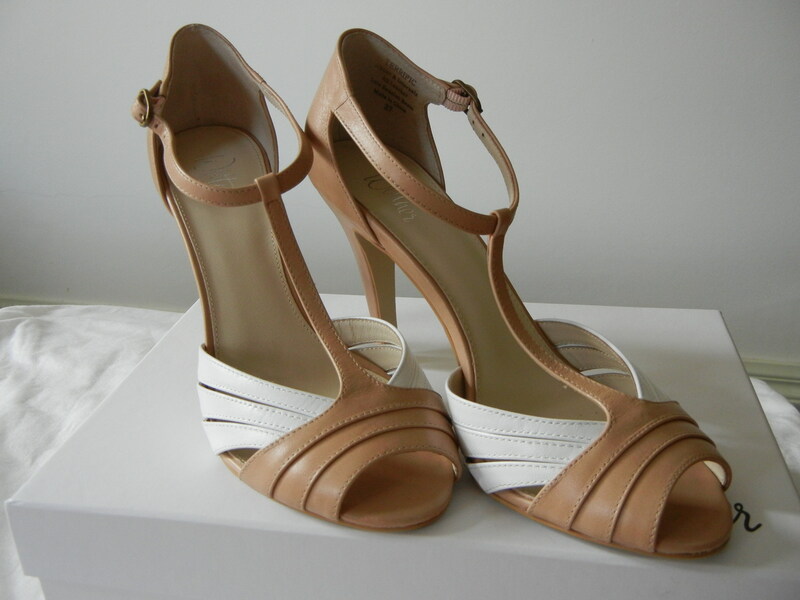 I aaah’ed over these Mulberry patent heels, reduced by 40% to $300. At this point I realised I was probably just attracted to the colour orange and should not make any sudden purchasing decisions. Another site in the “to be revisited” list. P.S. Shipping to Australia is $55 from the US site. My absolute favorite holiday is Thanksgiving, which may sound weird as we don’t celebrate it here in Australia. The end of November brings joy and happiness a-plenty, because it is followed by the Biggest Shopping Day of the Year in the US and, by extension through the world wide web, the rest of the world as well. Shopbop – Spend $250, save 20%; Spend $500, save $25%, Spend $1000, save 30%; Spend $1500, save 35% with code BIGEVENT12. Offer ends November 26. Free worldwide shipping. I’d say shopbop has the best deal at the moment because it’s a sitewide discount, but things are selling out likely crazy so I hope you have a wishlist ready to go! Tip: if something is sold out, it might just be reserved in someone else’s cart. Check back in half an hour and it might be yours! I was eyeing these turquoise Salvatore Ferragamo Varina flats literally 2 hours before the sale started, and by the time I woke up the next morning to see the sale notification, my size had already sold out. Oh well. It’s probably for the best — my red pair is still in its box in pristine condition. Anthropologie – extra 25% of sale. Ends November 25. $25 flat rate shipping to Australia. My wishlist items are already out of stock, so I’m holding out to see if anything else goes on sale. I have this pleated skirt in the “maybe” list. Last Call by Neiman Marcus – extra 40% off sale. Ends November 22. US shipping only — international orders can be placed by phone, but no information about shipping costs. These Chloe sunglasses are down to $71.40, and I’m tempted to snap them up even though I already have a similar pair! It’s always good to have a back up, no? J. Crew: 25% off your entire purchase with code COLOR25; free shipping on $150+. Ends November 25. US shipping only, as the promo doesn’t apply to the Australian site. J. Crew Factory: 40% off everything, and extra 15% off when spending $100+, with code GIVEANDGET. Ends November 25. US shipping only. Been eyeing the Copley Saddlebag for the longest time, but I recently acquired a butterscotch colored saddle bag so it’s probably a bit early for a neon persimmon version as well. Not to mention 2 even more recently acquired bags which are yet to arrive….! Madewell – 25% off everything with the code TREAT. Ends November 26. US shipping only. I really like J. Crew’s more casual cool sister, and their silk shirts are always nice to wear. I have last year’s version of this solid silk boyshirt. Loft – 40% off everything with the code ENJOY. Offer is on for a “limited time”. US shipping only. Ann Taylor – 40% off full-price items and 25% off sale items, use the code THANKS. Again, offer is on for a “limited time”. US shipping only. Sparkly block heels! I’ve been planning on the DIY for months now, but maybe I should just buy a ready-made pair? SSENSE – markdowns and free worldwide shipping with code FREESHIPWW. Limited time only. A Proenza Schouler PS11 for US$1365… to buy or not to buy? I decided to not buy, or at least wait until I boosted the non “cross body bag wth structured shape and a flap” part of my bag collection. Beautybay – 20% of your purchase with free international shipping, no code needed. Black Friday (Nov 23) offer only. Seems to be a good place to pick up Nails Inc polish for £7.96, or Parlux hairdryer for £52.45. Saks Fifth Avenue – General markdowns, plus $10.95 USD Express Shipping to Hong Kong and Australia on orders of $250 USD or more with code: HOLIDAY1. Ends November 26. Barneys New York – Sale on now, plus complimentary international shipping on orders of $200 or more. Limited time only. How cute is this Alexander Wang Rockie Duffle bag, was $725 and now $439? Neiman Marcus – further 20% off sale, ends November 24. $19.95 express shipping to selected countries. Flannels Fashion – 20% off full price stock with the code GIFT20, exclusions apply. Shipping to Australia is £45. I haven’t bought anything from here myself, but it says advertised prices include VAT, and they’ll take off the VAT when sending to Australia. Urban Outfitters – general markdowns. Shipping to Australia is $5, with free shipping for orders over $50. While it’s not really my style, how interesting is this stingray clutch? Benefit Cosmetics – up to 3 free gifts with order: spend $30 and get free BADgal lash mascara mini; $60 and also get a FREEdeluxe the porefessional mini; spend $90 and also get a deluxesugarbomb mini. Enter STAYCATION at checkout. Offer valid through November 25. Revolve clothing – Spend and save offer, valid to November 26. Shipping to Australia is $10, or free for orders over $100. Banana Republic – 40% off your purchase with the code BRFRIDAY, valid November 23 only. Ships to Australia using FiftyOne Global, which is generally weight-based. Gap – 20% off purchase with the code GAPGIFT. Ends November 23. I’m a “small bag” person. Given the choice between a carry-all which fits the largest make up bag in the world, and a miniature version of the carry-all, I’d pick the miniature version any day. Of course, small bags mean that you’ve got a choice of either bringing your wallet, keys and phone or an umbrella, so a good weather app is absolutely essential. I use something called Weather+ (currently on sale for 99c), and it’s been known to predict rain to the hour. Unfortunately, even my trusty weather app failed me this evening, and I found myself doing a mad dash through the rain and to the car with A Small Bag and No Umbrella. Once I got home and dried off my bag, my shoes and then myself, I vowed to turn a new leaf and to choose that more practical carry all that can fit my wallet, keys, phone and umbrella. Maybe a bottle of water and a book. Perhaps even a change of clothes and some toiletries. Who knows what people normally bring in those big bags, I suppose the possibilities are endless. After a short search, this Jil Sander Sporty Madame leather tote seemed to fit the bill. I do like the frame bag style, and the size is very… er, practical. But then!! I saw these ridiculously cute miniature version of the Chloe Marcie and Paraty bags! How can an inanimate object be so cute?! And so the leaf flipped again. Ah well, the heart wants what the heart wants, I suppose. Remember how I wrote about my 5 tips on how to get through a shopping ban? Well, I have a confession to make. So, I love ASOS. It’s hard not to, with their cheap and cheerful clothes, free shipping to Australia, and abundant further discount codes. When they launched their Australian website a while back, I was very concerned that they might inflate prices for us and market it as Good News (*cough*j.crew*cough*), but I was very happy to note that the Australian ASOS website was more about defaulting viewing options (like currency and sizing) more than forcing different prices. What I did love though was their new local returns. Does this mean I now buy heaps of stuff knowing full well that I will return most of it and only lose out around $8 per return? You know it. Case in point: I just ordered 4 pair of jeans in varying floral and heart prints. So how does this relate to my shopping ban? Well, when I said that I had “shopping credits” from pre-ban returns (handy hint #3), I actually meant these ASOS orders which I only got around to sending back… last week. Even though I spent the shopping credits in February. I’m pretty sure big companies do their books like this all the time. I’ve now also worked out that my actual “shopping credits” were $420, of which I only spent maybe $80. So either I actually made money during the shopping ban (a truly mind blowing outcome… must revisit this concept), or I’m still in credit and have an extra $340 to spend this weekend. My math skills are awesome. Before I went on my US trip, I made a resolution to start a shopping ban to first save some money. Those 3 months were a dark, dark time in my life, but I grew up on Destiny’s Child*, so I made it through. Today, I would like to share a couple of tips on how to survive a shopping ban, told in the story of 5 pairs of shoes — why, yes, I did acquire 5 pairs of shoes on my shopping ban, all without breaking the rules! Here’s how. Obviously not everyone can rearrange the year so that their birthday falls within the shopping ban period, but Muhammad and mountain and all that (read: move the shopping ban!). I think this one is pretty self-explanatory. It got me these red suede peep toes — I’m just waiting for warmer weather to roll around again so I can wear them! Oh, and I also got these cute Mimco bootie sandles. Everyone laughs at me when I tell them this, but it’s actually really important: the purpose of a shopping ban is usually to save money (mine was to save for my holiday). But you can’t stop spending money completely — there are still necessities that are outside of the shopping ban, and rightly so. 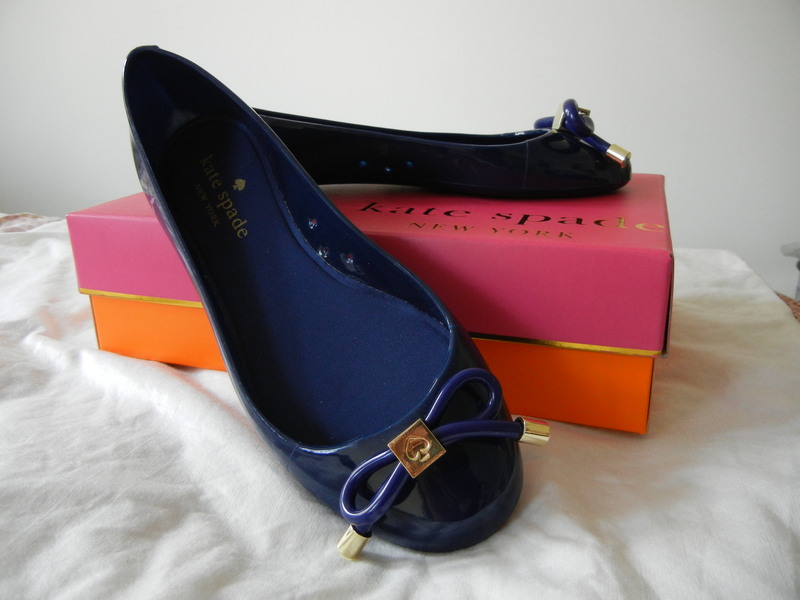 This includes food, toiletries and, in this case, comfy flats suitable for long days of walking on my holiday**. If I am saving money so I can spend more in the US, then surely it wouldn’t be breaching the shopping ban if there is a limited period online sale with free shipping to Australia. If I wait until I go to the US and buy it in person, it might not be on sale anymore and I’ll have to pay additional sales tax anyway, and maybe even more baggage fees?? In fact, it will cost me money if I don’t buy it now…. * I’m a Survivor! I’m not goin’ give up, I’m not goin’ stop… I’m goin’ work harder! ** Status of “necessity” determined at point of purchase.